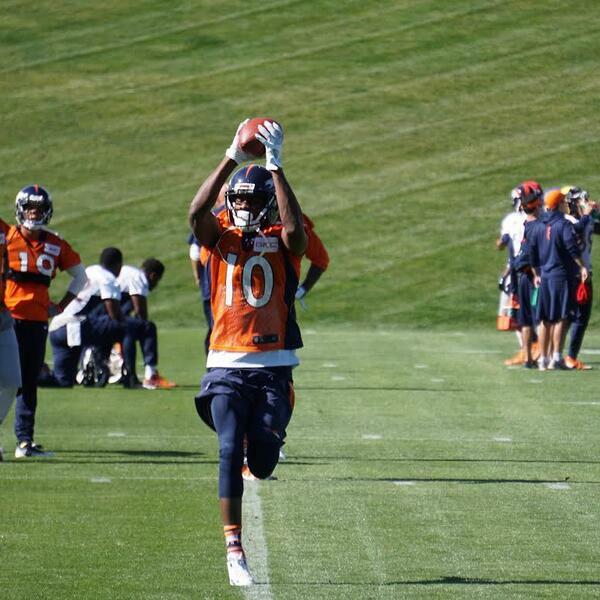 The Denver Broncos' second week of organized team activities is underway. Emmanuel Sanders and Chris Harris, Jr. spoke to the media about the team's offseason schedule, their experiences with the new coaching staff, and what position they think Broncos' general manager John Elway should try and upgrade with the team's No. 20 overall pick. Jake Marsing and Ryan Greene were there and take some time to digest what they heard and preview next week's draft on this latest episode of the Broncos Blitz. The Broncos Blitz comes to you from the Sportique Studio every week during the offseason and from the parking lot of the Broncos' UC Health Training Center headquarters daily during the season. It brings you all the news and analysis you could ever want out of a #Broncos podcast.